We get one step closer to the top of the list of best players available in devy leagues. The off-season is always an exciting time for dynasty owners. This goes double if your league also has a devy aspect. Between depth-chart shuffling, recruiting season, and spring ball, there is a lot going on in the college football world. 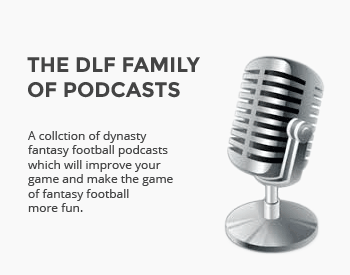 This comes with the disclaimer reiterating fantasy football is an inexact science. This is exacerbated when you throw college talent into the mix. Many guys not on this list are sure to breakout and become notable NFL prospects. But these are in my estimation the individuals with the most next level potential. Tee Higgins has the Go-Go Gadget arms which seem to extend for miles beyond his body. From day one, he should be one of the better jump ball receivers due to his size and fearless mentality when the football is in the air. He could benefit from some linear speed exercises; as is he is a rather straight-line athlete with limited bulk and explosive ability. The overall package, however, portends a successful collegiate receiver who can become physically dominant with nominal gains in his portfolio. Clemson has an established group of receivers and their passing game will take a step back, but expect a 2018 breakout from Higgins.